The all new episodes of the Ascension® Selection will be riding the airwaves soon featuring epic club sounds, new features, guest mixes from leading names and up-and-coming talent with the return of original Ascension® Music host Fullerlove. For those of you new to our family of dance music lovers, you can read about our journey from radio show to record label here. It has been alot of hard work and passion to get to where we are today and we could not of done it without our amazing Ascensionites. From fans, to artists, artist management companies and fellow record labels, thank you. Ferry Corsten, Cosmic Gate, Judge Jules, Alex M.O.R.P.H, John Askew, Scot Project, Ali Wilson, Arctic Moon, First State, Kyau & Albert, Nick Larson, Johan Gielen, Mac & Taylor, Claudia Cazacu, Dennis Sherperd, Ronski Speed, Tydi, Ben Nicky, Manuel Le Saux, Grube & Hovsepian, Marcus Schossow, Leon Bolier, JOOP, Fabio Stein, Vicky Divine plus many more. The Ascension® radio show soon built a global audience, and was syndicate on stations around the world. In Holland, Ascension® aired on Trance FM, it aired on Austria's dance hub Decksharks and in Eastern Europe the show featured on Eilo's trance network. In the Far East Ascension was broadcast on Hong Kong's HKGFM and in the UK, the show aired on Fnoob and the legendary Slinky radio channel. Cant wait for the revamped Ascension Music radio show? Here are some classic Ascension shows for your listening pleasure! Co-Founder and Marketing Director of Ascension® Music. Ascension® is the euphoria of the melody, the energy of the build up and the drive of the bassline. Ascension® is the raw emotion that makes music magical. She is the lazer lights in the dark. She is the energy that connects us all with the world around us. 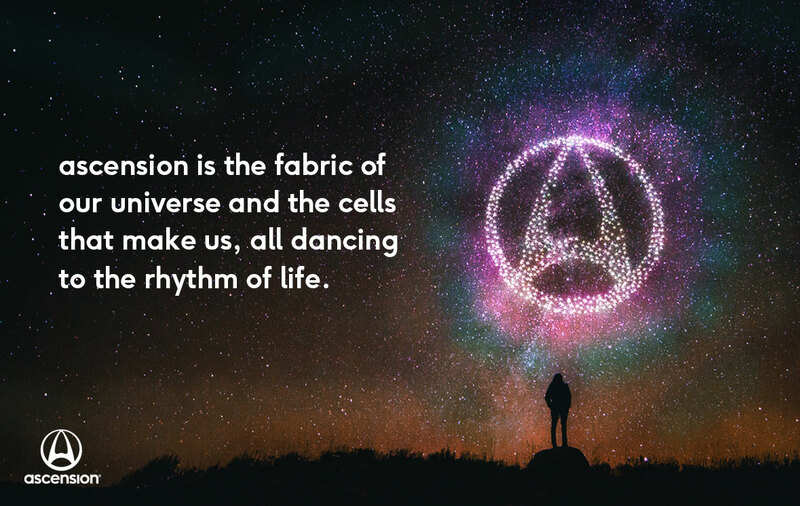 Ascension® is the fabrics of our universe and the cells that make us, all dancing to the rhythm of life. We are the Ascensionites.